Previously, we explored the subject of judging and the confusion it can cause. We discovered that judging in itself isn’t wrong but that it does matter who the source of a judgment is. If God is the source, we are called to express that judgment. If self is the source, our judgment is wrong. 1) What does scripture say? Scripture is a record of what God has revealed. Many things are judged in scripture, and these judgments are confirmed multiple times. Certain things (like whether to celebrate holidays or drink alcohol) are left to our own convictions. Christians can differ about these things. Other issues are not discretionary. 1 John 4 says, “Every spirit who confesses that Jesus Christ has come in the flesh is from God. But every spirit who does not confess Jesus is not from God” (1 John 4:2-3). This judgment has been made for us. To be a Christian is to confess Jesus, and only Jesus. Based on this, we reject other religions as ways to God. If we refuse to judge on this point, we also refuse God. 2) What does the church say? Proverbs says there is safety in a multitude of counselors (Prov. 11:14). Scripture is a wonderful counselor The church is filled with other counselors. Not only can we turn to those in our own generation, we can read writings going back to the beginnings of the church. We need each other to understand the Bible. We need each other to model what is revealed in the Bible. We need to support one another as we walk in those judgments that are of God. This is especially true as judging is less and less tolerated. 4) Who is judged? When Isaiah saw the Lord, high and exalted, he said, “Woe is me for I am ruined because I am a man of unclean lips and live among a people of unclean lips” (Isaiah 6:5). Since God’s judgments don’t come from us, we recognize that they apply to us. Does a judgment include the plank in our eye or only the speck in our brother’s? (Matt. 7:4). Jesus says we can’t see clearly or judge clearly unless we’ve dealt with the plank in our eye (Matt. 7:5). 5) What about the cross? The cross is God’s consumate judgment. All divine judgments–whether dividing day from night or holiness from sin–are based on the cross. We could say that every right judgment is simply the application of the cross to a specific issue. Paul certainly demonstrates this in his letters. Christ crucified is the corrective to every problem he addresses. 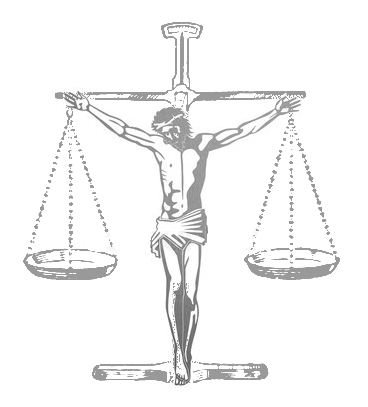 Does a judgment reflect the cross? Does it express the nature of the cross–its perfect union of rightness and mercy? The cross is the test of every judgment. Any judgment that fails its test is merely human and worthless. This is a brief list of parameters we can use to judge our judgments. If you have anything to add, please leave a comment. How does God confirm for you that a judgment is of Him?